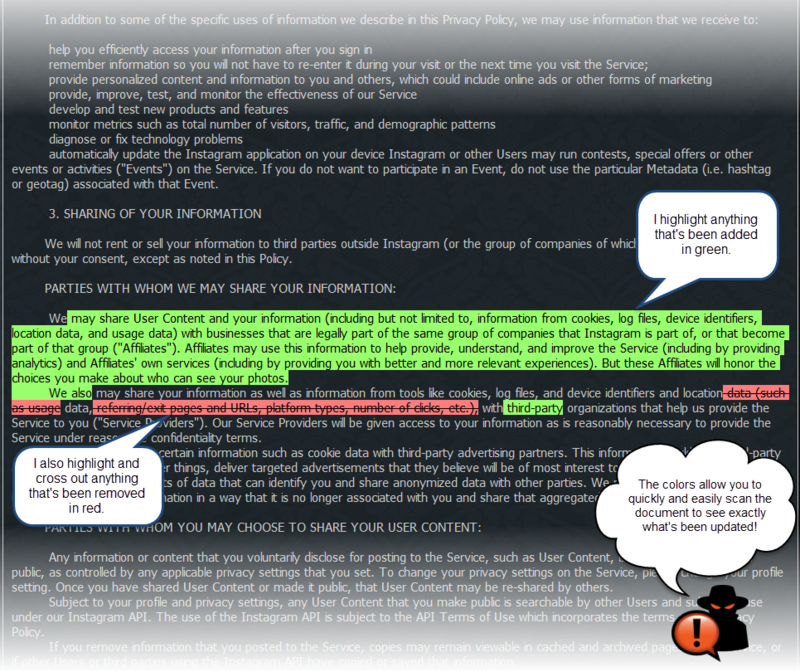 These current privacy policies and the privacy practices described herein apply to personal information previously collected from you by Barnes & Noble, Inc. and each of its subsidiaries, including NOOK Media LLC and its subsidiaries ("NOOK Media"), as well as personal information that they may collect from you in the future. Depending on how you choose to interact with the Barnes & Noble enterprise, we may collect personal information from you, for example your name, e-mail address, billing address, shipping address, phone number, credit card or bank account information, date of birth and other persistent identifiers that can be used to personally identify you. If you rent, purchase or otherwise place orders for textbooks or e-textbooks from Barnes & Noble College Booksellers, we may also collect your student or faculty identification number, financial aid number, your driver license number, information regarding courses you enroll in or teach, your program of study and graduation year. We may also collect other personal information regarding your interaction with Barnes & Noble Websites, Devices and Apps, including usage information, the items that you browse, purchase, download, read, watch and otherwise access, and your geographic location. To review Barnes & Noble's Mobile Privacy Supplement optimized for reading on mobile devices, please click here. Your personal information also allows us to communicate with you about special offers, promotions, and other marketing programs and news that may be of interest to you. You always have the opportunity to unsubscribe from promotional emails by following the instructions included in each marketing email or by changing your preferences in your account. You may unsubscribe from mobile notifications by changing your settings in the Apps or on your Barnes & Noble or third party device. Barnes & Noble Websites, Devices and Apps may provide you with the ability to enter (either directly, or by authorizing Barnes & Noble to download the information from a third party such as a social networking website) your information such as your contacts, calendar entries or photos, or images you may submit to us to help us locate products for you. To review Barnes & Noble's Mobile Privacy Supplement optimized for reading on mobile devices, please click here. We work with third party service providers, including but not limited to IBM Coremetrics and Google Analytics, to help us better understand how you use the Barnes & Noble Websites. These third party service providers will place cookies on your computer to collect information such as how you were referred to the Barnes & Noble Website, how you navigate around the Barnes & Noble Website, what you purchase and what traffic is driven by various marketing methods. This information will help us to better serve you and provide you with more personalized information and product offerings. We do not allow third party service providers to collect your credit card information, e-mail address or password information. These third party service providers may only use your personal information to perform services for us and may not share your personal information with anyone else, or use it for any other purpose, except on an aggregated, non-personally identifiable basis. When you use a Device or our Apps, we automatically collect information through the Device or App when it is connected to the Internet. For example, we may receive and collect information concerning device registration, settings, usage, firmware version, signal strength, search queries, network interaction, the name of the network from which you access the Internet, the Internet Protocol (IP) address of the device you are using, unique device identifiers (UDIDs), downloads, sideloaded content, configuration, or service information relating to any malfunction of the Device or App. This may include information regarding your reading, viewing and activity behavior on such Devices or Apps, such as books or videos opened, date and time of use, time elapsed, page turns, bookmarks, annotations, customer reviews, and quiz or test answers. To review Barnes & Noble's Mobile Privacy Supplement optimized for reading on mobile devices, please click here. If you rent or purchase textbooks or e-textbooks from Barnes & Noble College Booksellers, we may also collect information about you from your college or university, including but not limited to your mailing and email addresses, class registration information and other course information. This information may be used for a number of purposes including providing our services to you and your college or university, sending postal mail and email, fulfilling orders, removing repetitive or unnecessary information from customer lists, analyzing data, providing marketing support, customer authentication, providing search results and links (including paid listings and links), providing customer service and processing credit card payments. MICROSOFT. We may share your personal information with Microsoft and its affiliates and subsidiaries under certain circumstances, including, for example, in connection with using a Microsoft account Microsoft may use your personal information to provide products and services to you related to your Device, Digital Content and Barnes & Noble and Microsoft services and products. These products and services may include, without limitation: (i) to enable purchases of Digital Content by you and provide Digital Content to you, (ii) to allow you to access, view and consume your Digital Content and provide related services to you, (iii) to publish certain Digital Content created by users and customers (as may be more fully set forth in any applicable terms or policies related thereto), (iv) to create and manage cross company user accounts and applications related to your Devices and Digital Content, including in connection with the integration between the Microsoft user and ID systems and Microsoft commerce platform and our products and services, (v) to offer joint product or service offerings, (vi) to provide customer support, (vii) to provide information to you regarding Microsoft product and service offerings, and (viii) as otherwise reasonably determined by us. Please note that any information provided to Microsoft will be treated by Microsoft in accordance with its applicable privacy policies in effect from time to time. Please refer to Microsoft's website for information related to Microsoft's collection, use and sharing of information that it obtains. FOR BARNES & NOBLE COLLEGE BOOKSELLERS: At any time, a customer may choose to opt out of the receipt of any promotional communications by clicking on the opt out link provided at the bottom of each email and following the instructions. FOR BARNESANDNOBLE.COM: Any account holder can opt-out of the receipt of any promotional communications by logging onto their Account and following the instructions under "Communication Preferences". If you do not have a barnesandnoble.com account, you may opt out of the receipt of such communications by selecting the link at the bottom of any promotional email communication and following the instructions. FOR BARNES & NOBLE MEMBER PROGRAM: Any Member can opt out of the receipt of any Member program promotional communications by logging on to their barnesandnoble.com Account and following the instructions under "Change Your Communication Preferences." If you do not have a barnesandnoble.com account, you may opt-out of the receipt of such communications by selecting the link at the bottom of any promotional email communication and following the instructions. FOR THE BARNES & NOBLE GIFT CARD WEBSITE: Any customer of the Barnes & Noble Gift Card website who receives promotional communications can opt-out of the receipt of any such communications by clicking on the opt-out link provided at the bottom of each email and following the instructions or by sending an e-mail to giftcardprefs@bn.com. FOR INVITE-A-FRIEND EMAILS: You may choose to opt out of receiving communications from other of our customers through Invite-a-Friend features by calling our Customer Service Center at 1-800-THE-BOOK (1-800-824-2665). Individuals calling from abroad should call us at 1-201-559-3882. You may choose to opt out of collection of automatically collected information, including cookies, IBM Coremetrics and targeted advertising, by following the instructions given in Section 3(b) above, or by using the functionality in your browser to reject cookies. You may access, correct or change the personal information in your community profile(s) on Lark Crafts at any time. To review or modify your profile information, log in to larkcrafts.com. Additionally, by using Lark Crafts' various interactive offerings, you agree to receive communications from Barnes & Noble, Lark Crafts, other users, and moderators related to the provision of these services. BY DOING BUSINESS OR INTERACTING WITH BARNES & NOBLE, YOU ARE CONSENTING TO THE TRANSFER, STORAGE, AND PROCESSING OF YOUR PERSONAL INFORMATION TO AND WITHIN FACILITIES LOCATED IN THE UNITED STATES AND OTHER FACILITY LOCATIONS SELECTED BY BARNES & NOBLE. Barnes & Noble has received TRUSTe's Privacy Seal signifying that this privacy statement and our practices have been reviewed for compliance with the TRUSTe program viewable on the validation page available by clicking the TRUSTe seal. The TRUSTe program covers only information that is collected through uk.nook.com, www.nookpress.com, NOOK Apps and your interactions with NOOK Simple Touch, NOOK Simple Touch GlowLight, NOOK GlowLight, NOOK HD and NOOK HD+. The TRUSTe program does not cover information that may be collected through third party downloadable software or at the device level. The address for Barnes & Noble is 122 Fifth Avenue, New York, NY 10011. The address for NOOK Media is 76 Ninth Avenue, New York, NY 10011.  .